"The book vicariously teaches the reader much about life in a Northern Cree community. Cree words for food and animals are introduced naturally in context, and the events of the story embed native values and teaching traditions." 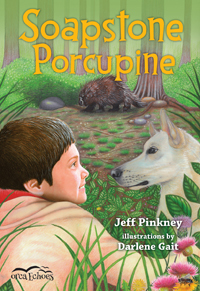 "Pinkney's] first work of fiction will be of value to young readers who are interested in learning about the rites of passage First Nations youngsters experience as they grow older. 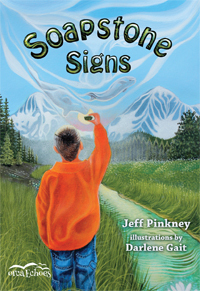 Each of the four chapters, one for each season, can stand on its own as a self-contained story, but each leads easily into another, making the book accessible for readers who are new to chapter books...Complementing Pinkney’s text are striking black and white illustrations by Darlene Gait, an internationally recognized First Nations artist. The pictures work harmoniously in breaking up the text in each chapter and provide support for the story without being distracting...An enjoyable read for young readers who are exploring first chapter books."